Lot 14. 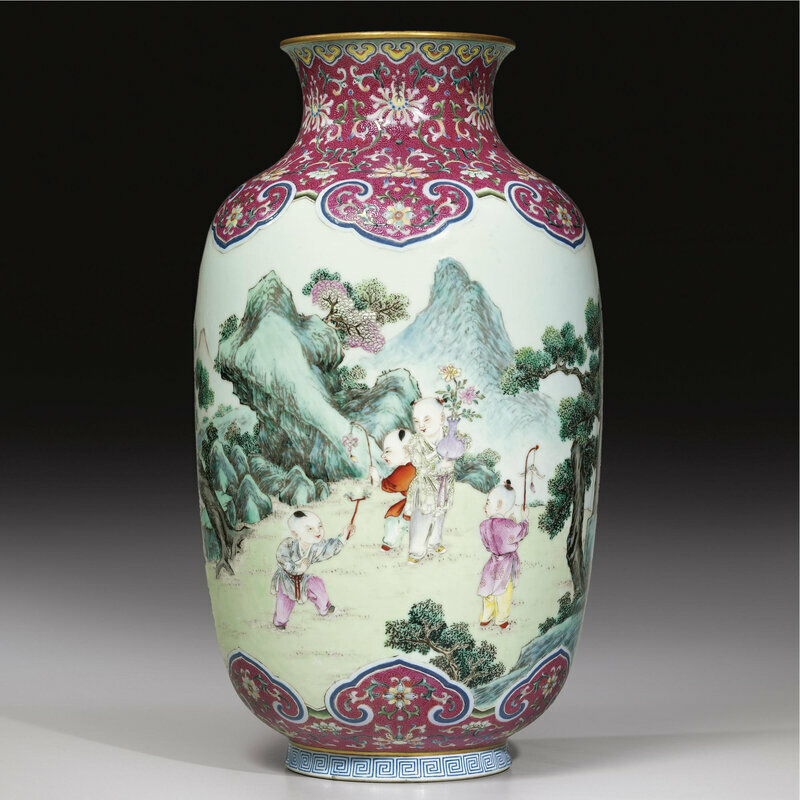 A fine famille-rose 'One Hundred Boys' vase, Jiaqing seal mark and period (1796-1820); 35.5 cm, 14 in. Estimate £150,000 - £200,000. Lot sold £466,000 (€533,711). © Sotheby's. the baluster body rising from a short straight foot to a tall waisted neck with flaring rim, brightly and finely enamelled around the exterior with the Dragon Festival, the river landscape with numerous boys both watching and sailing on dragon boats, all between ruyi, keyfret and gilt bands at the shoulder and foot, the neck with lotus strapwork between stiff leaf and ruyi bands and reserved on a lime-green ground, the interior of the neck glazed turquoise, the base with the iron-red seal mark reserved on a turquoise ground. 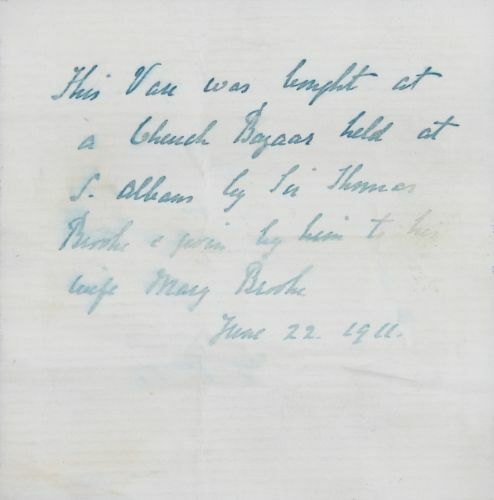 Purchased at a church bazaar in St Albans on 22nd June, 1911 (fig. 1). 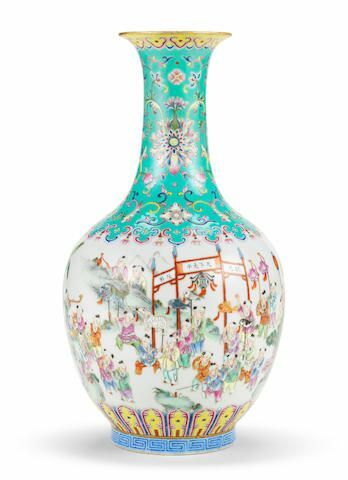 Note: Exquisitely decorated with a delightful scene of boys play-acting dragon boat racing, the style of the present vase was pioneered during the Qianlong period to resemble paintings mounted between textile borders. Such vases are considered to have been produced at the imperial kilns in Jingdezhen during the early years of the Jiaqing Emperor’s reign. The excitement and joyfulness of the boys is skilfully captured in their animated expressions and poses, which are heightened by the restrained depiction of the rippling water. It successfully combines several decorative elements, from the luxurious green-ground borders to the continuous narrative that is revealed with every turn of the vase, akin to unravelling a textile-mounted handscroll. The depiction of 'a hundred boys at play', representing the wish for many sons, was a popular theme in the decorative arts of the Ming and Qing dynasties. The 'hundred boys' refers to King Wen of the Zhou dynasty who had ninety-nine sons and adopted one more to make one hundred. As the link between classical education and a prosperous family grew in the Ming period, luxury goods made for the literati increasingly portrayed boys and fertility symbols. The image of children imitating adults, by engaging in activities connected with scholarly pursuits or auspiciousness, reveals an intense ambition among the educated elite for their sons to achieve high intellectual status and preserve the literary prestige of the family. The boys on the present vase merrily re-enact the Duanwu Festival, also popularly known as Dragon Boat Festival and Zhongxiao Festival, which occurs annually on the fifth day of the fifth month. Dragon boat racing is said to originate from the legend of people paddling out on boats to recover the body of the poet Qu Yuan (343-278 BC), a patriotic poet and exiled official during the Warring States period. He drowned himself in the Miluo River on the fifth day of the fifth month, when his beloved Chu State fell to the State of Qin. Dragon boat races were held annually at the Yuanming yuan, a day that was filled with excitement as crowds eagerly anticipated the arrival of huge wooden boats, elaborately decorated with dragons or sea birds at the prow and stern, and flying flags. Powered by forty to eighty experienced rowers and a drummer who set the rhythm for the oarsmen, crews also contained acrobats or exhorters thus increasing the spectacle of the event. Compare a smaller vase of related form, but with a slightly broader body and flanked with loop handles, decorated with a similar scene of boys engaged in playful dragon boat racing between blue borders, also with an iron-red Jiaqing mark and of the period, in the National Palace Museum, Taipei, included in the Museum’s exhibition Lord Jiaqing and the Journey to Taiwan: A Special Exhibition on Cultural Artifacts of the Qing Emperor Renzong, 2016, cat. no. 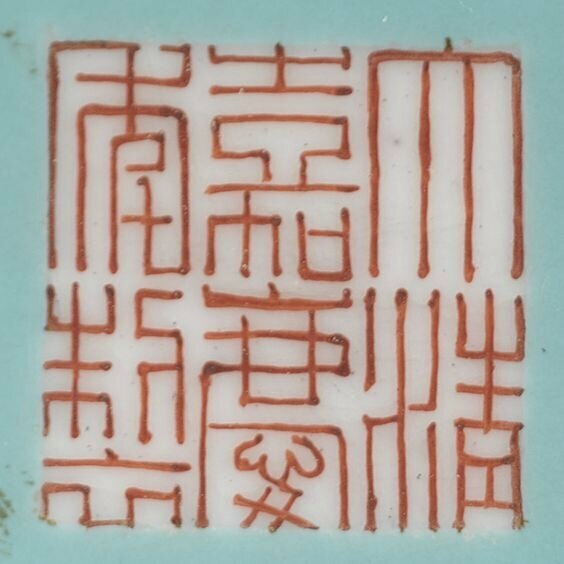 III-33; and a ruby-red ground pair, in the Huaihaitang collection, included in the exhibition Ethereal Elegance. Porcelain Vases of the Imperial Qing. 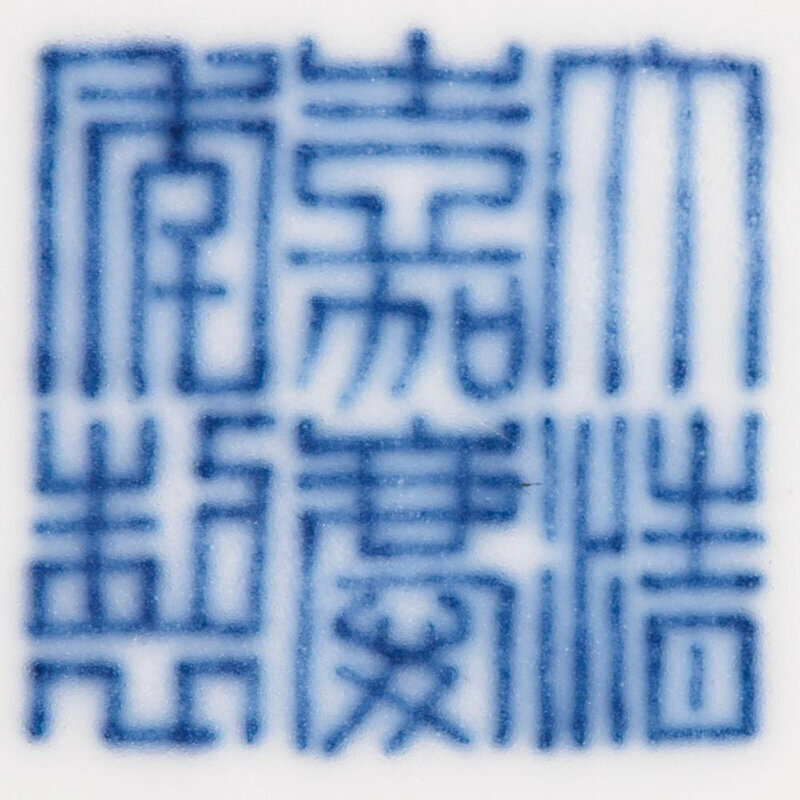 The Huaihaitang Collection, Art Museum, The Chinese University of Hong Kong, Hong Kong, 2007, cat. no. 138, together with a yellow-ground Daoguang version, painted with boys cheering adult dragon boat racers with a four-character Shengdetangmark, cat. no. 140. The pair to the Daoguang vase was sold in our Hong Kong rooms, 28th April 1992, lot 185, again in these rooms, 8th December 1992, lot 296, and a third time at Christie’s Hong Kong, 30th May 2006, lot 1460. 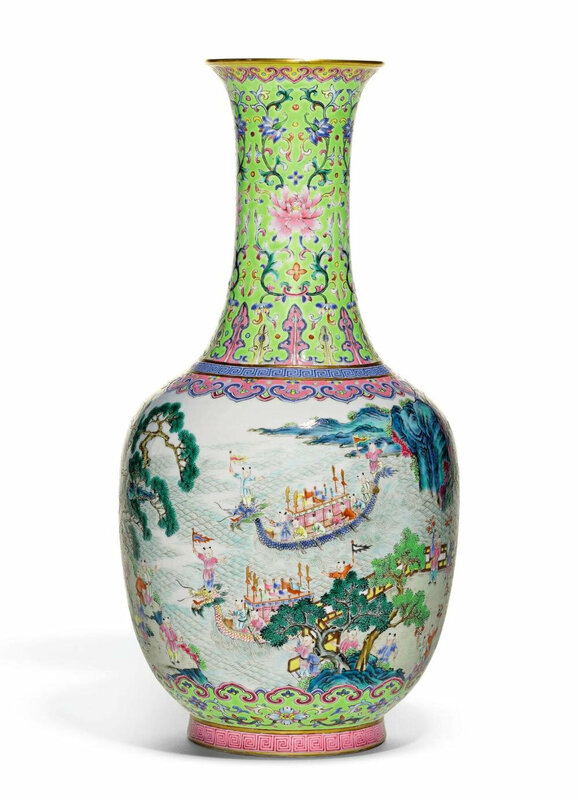 Vases decorated with the theme of boys at play, painted between coloured borders, were produced in numerous variations during the Jiaqing reign; for example see a bottle vase depicting a lively ‘hundred boys’ scene against a lime-green ground, sold at Christie’s South Kensington, 17th May 2013, lot 1504; another, but between turquoise bands, sold at Bonhams Hong Kong, 27th November 2014, lot 187; and another, but decorated with nine boys at play, also against lime-green borders, sold in our New York rooms, 13th September 2017, lot 32. 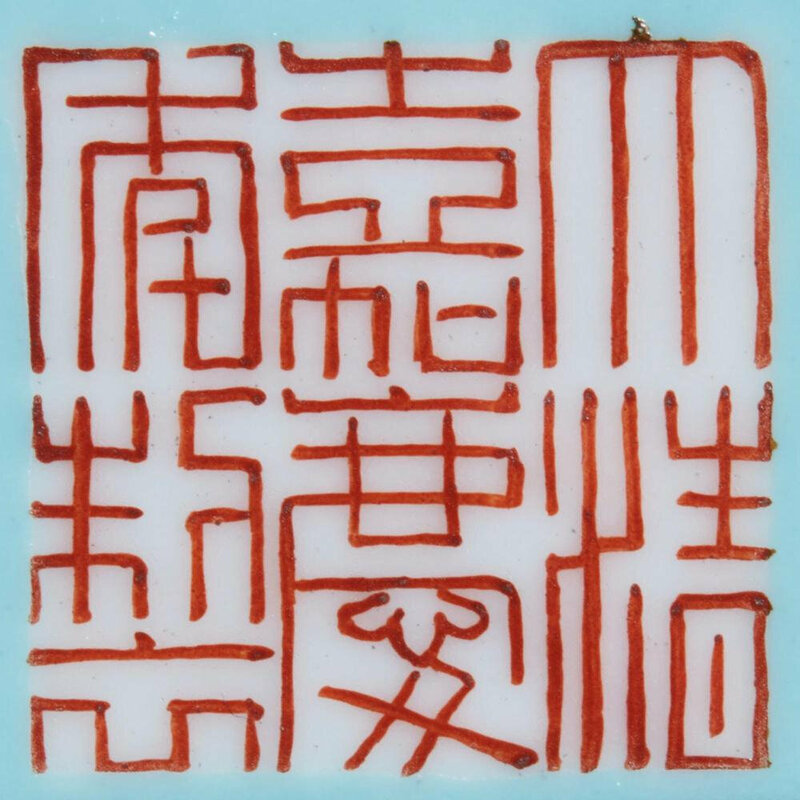 The motif of boys at play is also seen on earlier Qianlong period wares; compare a lantern-shape vase with the bajixiang painted on green enamel bands, illustrated in Qing Imperial Porcelain of the Kangxi, Yongzheng and Qianlong Reigns, Nanjing, 1995, pl. 87; and ruby-red ground version, sold at Christie’s Hong Kong, 29th/30th October, 1995, lot 756, and again in our New York rooms, 17th March 2009, lot 123. A famille rose ‘hundred boys’ vase, Jiaqing seal mark and of the period. 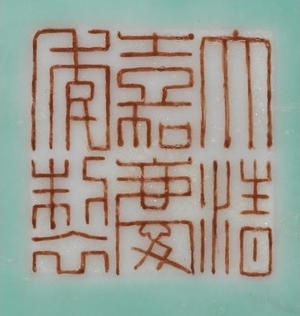 Sold for HK$ 875,000 (€91,879) at Bonhams Hong Kong, 27th November 2014, lot 187. 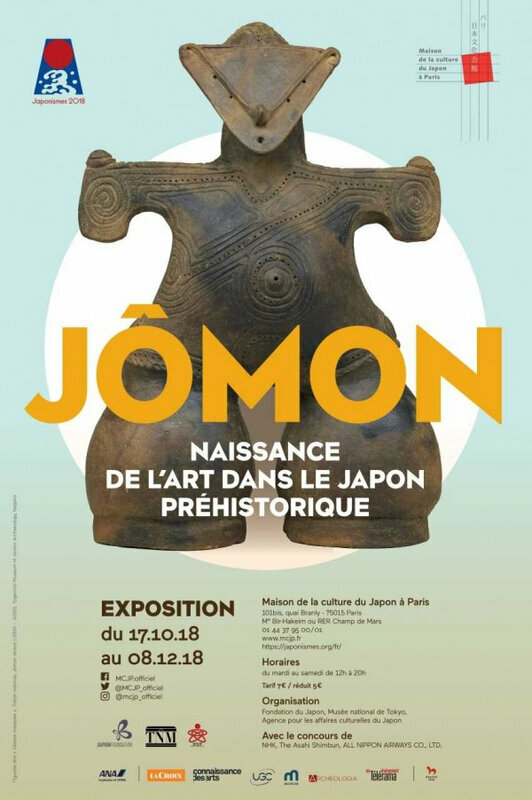 Photo Bonhams. 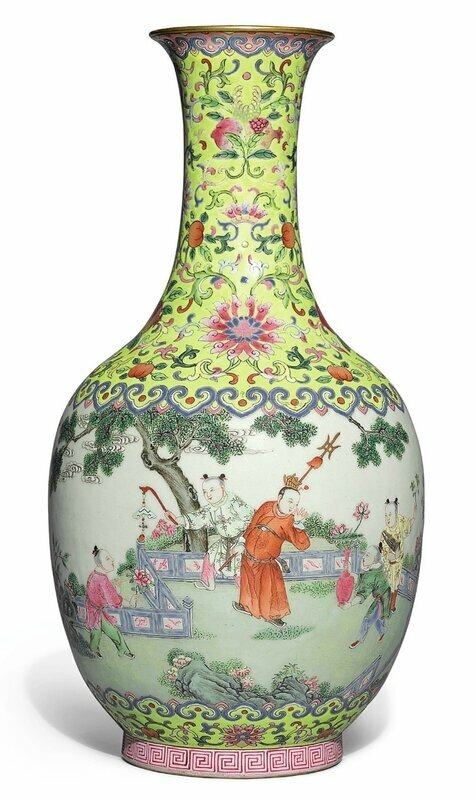 A fine famille-rose 'Boys at play' bottle vase, Jiaqing seal mark and period (1796-1820). Height 12 1/4 in., 31.2 cm. Sold for 612,500 USD at Sotheby's New York, 13th September 2017, lot 32. © Sotheby's. An impressive and rare 'famille-rose' 'Boys at play' lantern-shaped vase, Qianlong iron-red seal mark and period (1736-1795); height 12 1/2 in., 31.4 cm. Sold for 602,500 USD at Sotheby's New York, 17th March 2009, lot 123. © Sotheby's.